A turboshaft engine drove a unique system of counter-rotating and intermeshing rotors to provide lift, thrust and directional control. The counter-rotation cancelled the torque effect so no anti-torque, or tail, rotor was necessary. This allowed all of the engine’s power to drive the main rotor system. 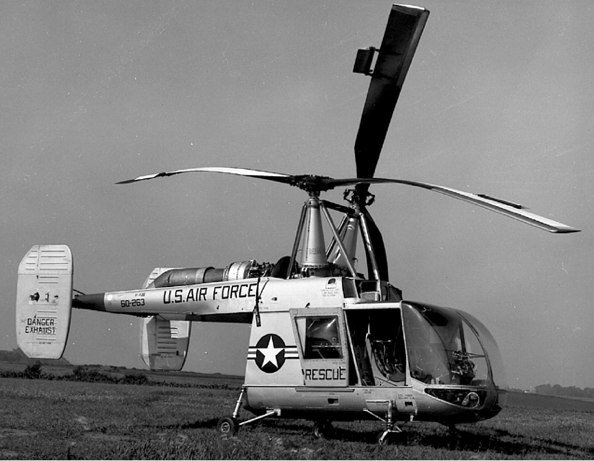 The fuselage of the H-43B was 25 feet, 2 inches (7.671 meters) long. Each rotor had a diameter of 47 feet, 0 inches (14.326 meters). It’s height was 15 feet, 6½ inches (4.737 meters). The helicopter’s empty weight was 4,470 pounds (2,028 kilograms) and its maximum gross weight was 8,800 pounds (3,992 kilograms). The Huskie’s economical cruise speed was 98 miles per hour (158 kilometers per hour), and the maximum speed was 120 miles per hour (193 kilometers per hour). Its hover ceiling out of ground effect (HOGE) was 18,000 feet (5,486 meters), and in ground effect (HIGE) was 20,000 feet (6,096 meters) and it had a range of 235 miles (378 kilometers). 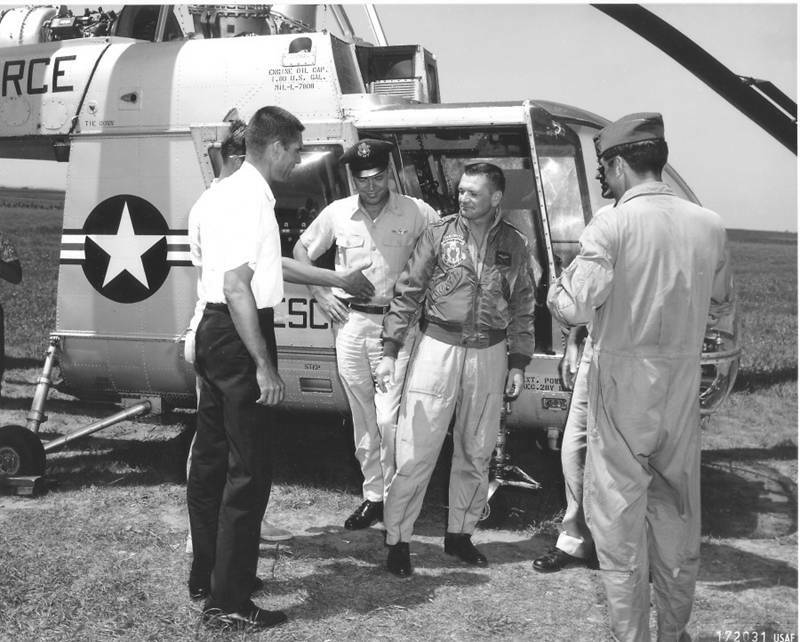 With the call sign Pedro, the HH-43 was a rescue helicopter that served in combat during the Vietnam War. 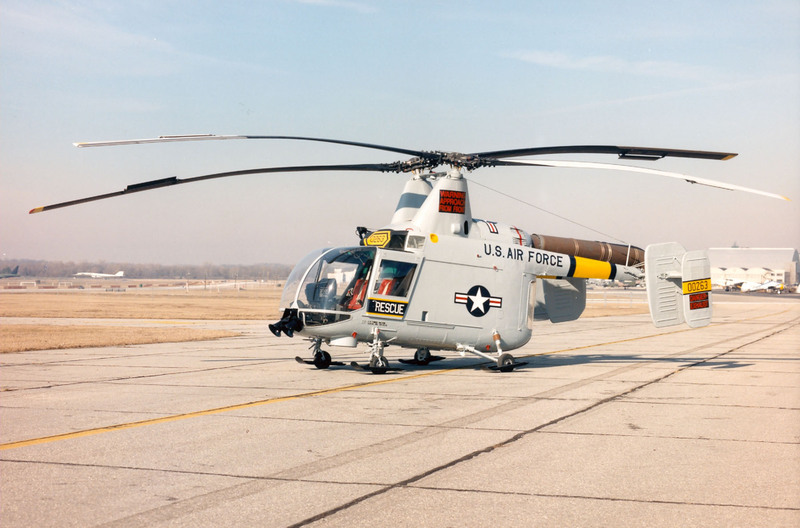 The record-setting Kaman HH-43B Huskie 60-0263 was last assigned to Detachment 3, 42nd Aerospace Rescue and Recovery Squadron, Kirtland Air Force Base, New Mexico. 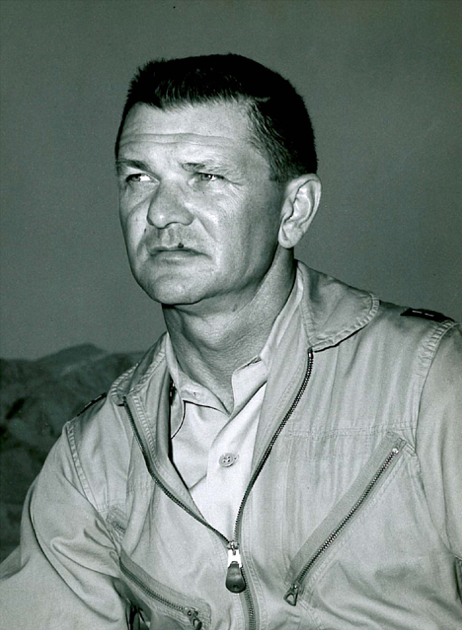 It is in the collection of the National Museum of the United States Air Force, Wright-Patterson Air Force Base, Ohio. Its distance record still stands. Lady Bailey was flying Captain Geoffrey de Havilland’s personal airplane, a DH.60X Moth, construction number 276, registration G-EBQH. Lady Bailey was born Mary Westenra, daughter of the 5th Baron Rossmore. She married Sir Abe Bailey at the age of 20. Soon after becoming a licensed pilot in early 1927 (Royal Aero Club Aviator’s Certificate 8067), she flew across the Irish Sea, the first woman to do so. After her World Record altitude flight, she set several long distance solo flight records, including an 8,000-mile (12,875 kilometers)flight from Croydon, South London to Cape Town, South Africa with a DH.60 Cirrus II Moth, G-EBSF, and an 10,000-mile (16,093 kilometers) return flight made with another DH.60 (after G-EBSF was damaged). 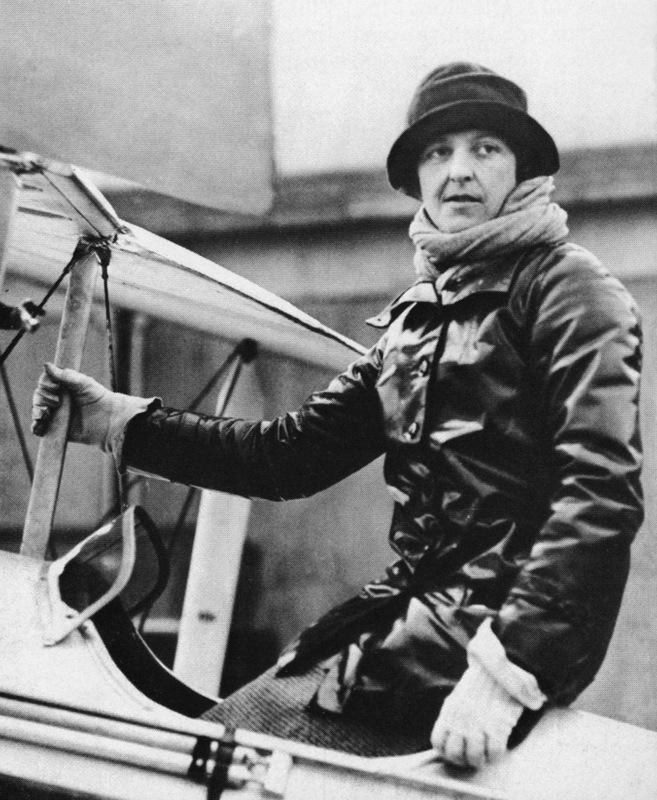 These were the longest solo flight and the longest flight by a woman to that time. Lady Bailey was twice awarded the Harmon Trophy (1927, 1928). In 1930, she was invested Dame Commander of the Order of the British Empire. During World War II, The Hon. Dame Mary Bailey, D.B.E., served with the Women’s Auxiliary Air Force with the rank of Section Officer, equivalent to a Royal Air Force sergeant. The de Havilland DH.60 was a light-weight, two-place, single-engine, single-bay biplane. The fuselage was covered with plywood and the wings and tail surfaces were covered with fabric. It was 23 feet, 5½ inches (7.150 meters) long with a wingspan of 29 feet, 0 inches (8.839 meters) and overall height of 8 feet, 9½ inches (2.680 meters). The airplane was designed so that the wings could be folded parallel to the fuselage, giving it an approximate width of 9 feet (2.7 meters). The wings had a chord of 4 feet, 3 inches (1.295 meters). 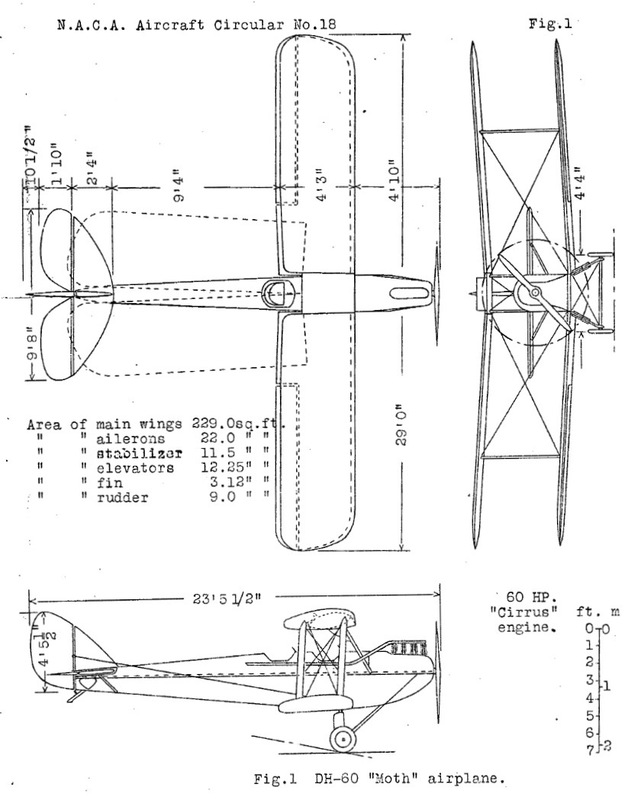 The vertical gap between the wings was 4 feet, 10 inches (1.473 meters) and lower wing was staggered 3 inches (7.62 centimeters) behind the upper. Both wings had 3.5° angle of incidence and 3.5° dihedral. There was no sweep. Empty, the DH.60 had a weight of 764 pounds (346.6 kilograms) and loaded weight of 1,650 pounds (748 kilograms). 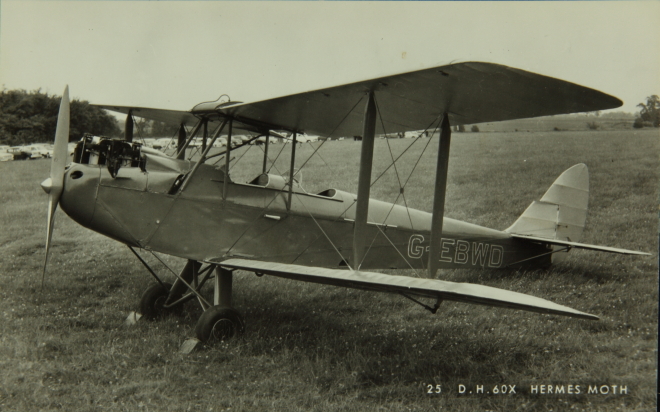 G-EBQH was a prototype for the de Havilland DH.60 Cirrus II Moth, and was powered by an air-cooled, normally-aspirated 304.66-cubic-inch-displacement (4.993 liter) A.D.C. Cirrus Mark II four-cylinder vertical inline engine. 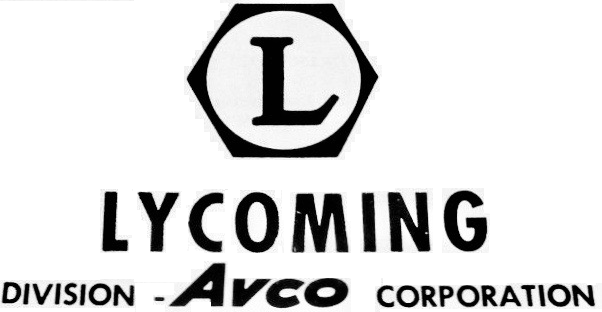 This was a right-hand tractor, direct-drive, overhead-valve engine with two valves per cylinder and a compression ratio of 4.9:1. It had a normal power rating of 75 horsepower at 1,800 r.p.m. and a maximum power rating of 80 horsepower at 2,000 r.p.m. It drove a two-bladed, fixed-pitch propeller. The Cirrus Mk.II was 3 feet, 9.3 inches (1.151 meters) long, 1 foot, 7 inches wide (0.483 meters) and 2 feet, 11.6 inches (0.904 meters) high. It weighed 280 pounds (127 kilograms). G-EBQH was used as a factory demonstrator and test aircraft. The DH.60X crashed in February 1928 but was rebuilt and later sold. It was flown in the King’s Cup Air Races of 1927, 1928 and 1929 by Alan S. Butler, the chairman of de Havilland. The prototype was modified to a single-place configuration with a Cirrus Mark III engine, and was known as the Moth Special. In the 1929 race, it set the fastest time for a light aircraft. Records indicate that G-EBQH changed ownership a number of times. Its Certificate of Airworthiness expired in 1937 and its status is not known. A de Havilland DH.60X Moth G-EBWD at Naval Air Day at Shuttleworth, 2 June 2002. 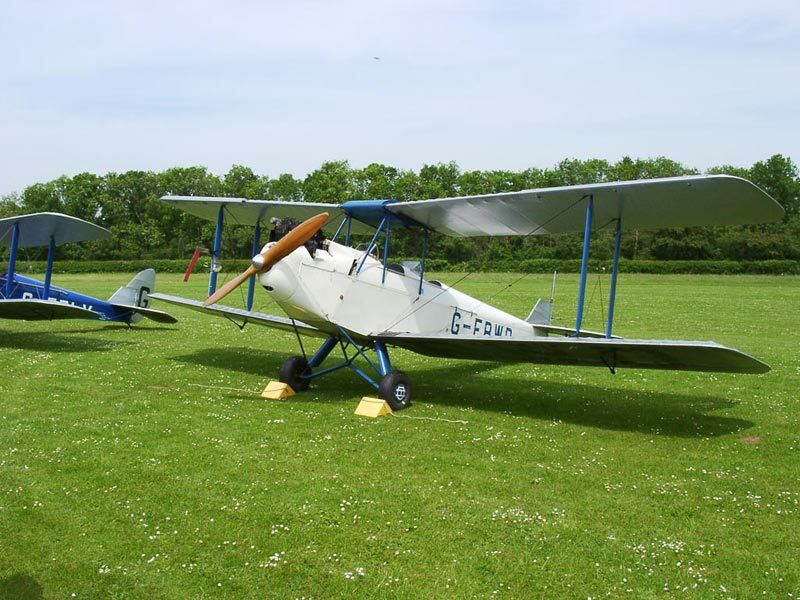 This airplane is similar to the DH.60X that Lady Bailey flew to her FAI altitude record. (This is the same airplane shown in the photograph above).